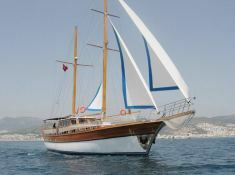 This gulet type schooner RSI is the best choise for your holiday on boat. 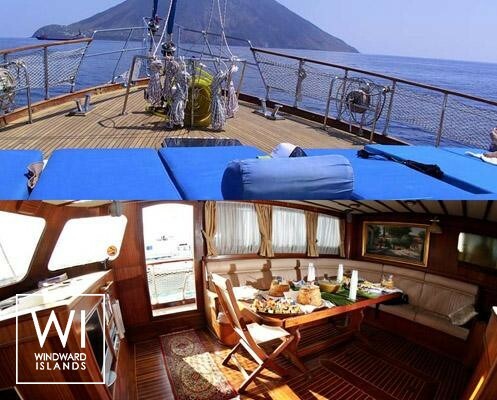 Discover Eolienne Islands- Sicily with best conforts. Two big suites and two double cabins all with airconditioning, and en suite complete bathroom + shower. 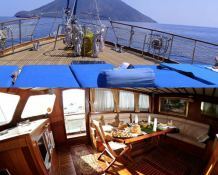 24 metres Ketch available for 8 guests and three crew members. Excellent cuisine served with sicilien wines. 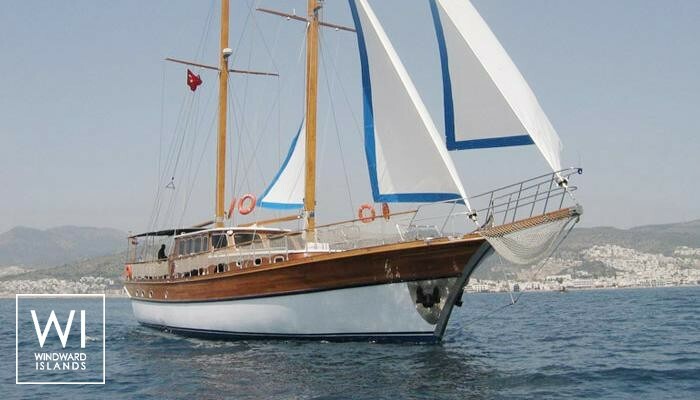 Turkish Gulet's - RSI 24M sailing yacht hosts up to 8 passengers and its crew comfortably. 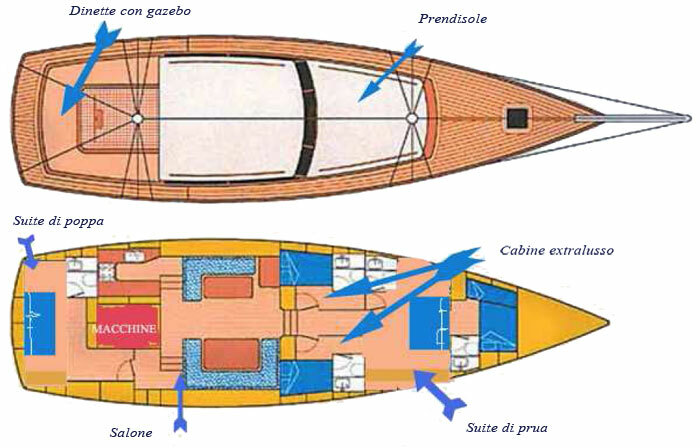 Sailing in Campania and Sicily, she is fully equipped with air conditioning, equipped galley, generator and also fishing equipment, CD and DVD for leisure. 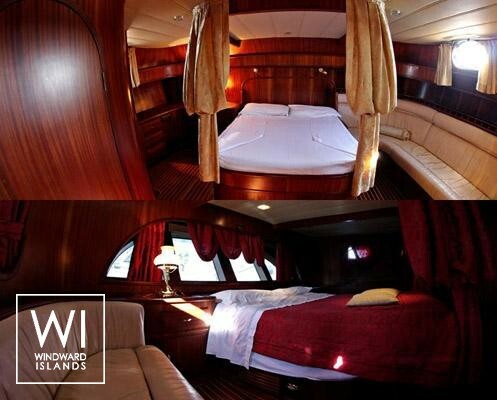 This crewed sailing yacht is available for yacht charter with a base price of 11 800 € (approximatly 13 307 $).